Article originally appeared on Lonny. 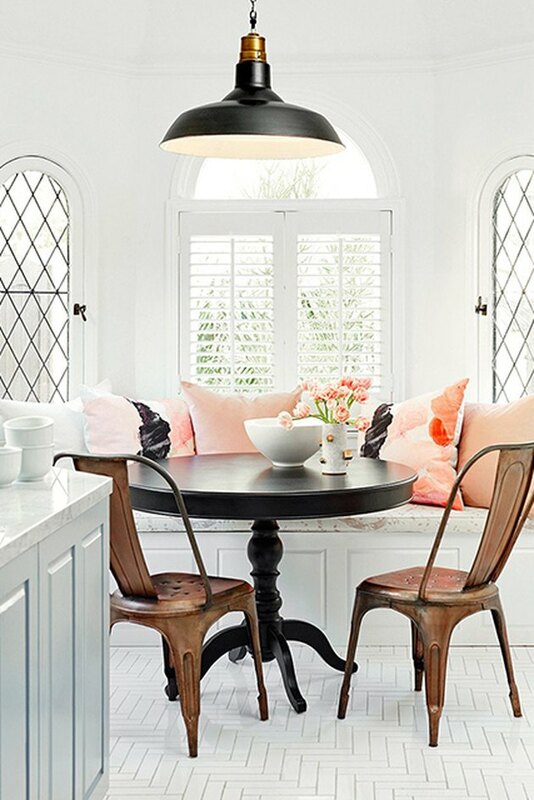 Love the look of a breakfast nook, but don't have that lovely built-in niche in your space? No worries! 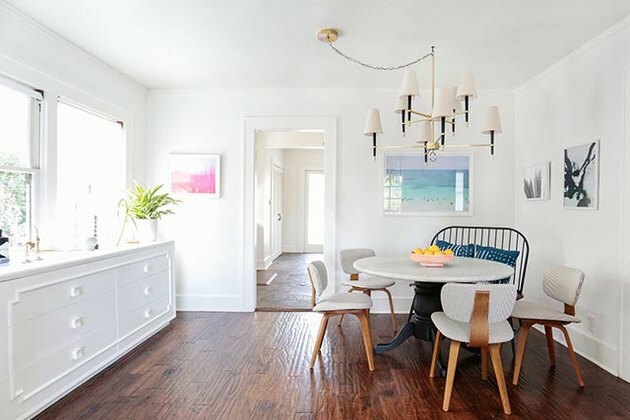 If you want a breakfast nook, you can have a breakfast nook. 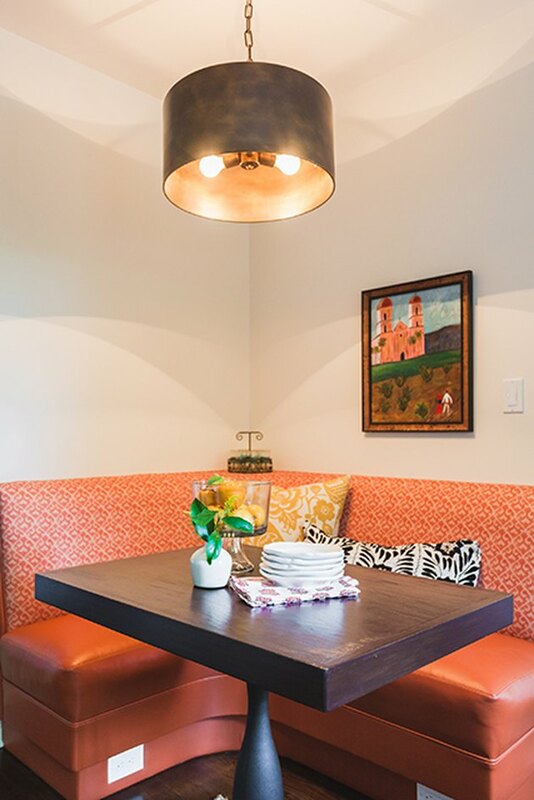 With a bit of styling, you can create the perfect spot to nosh with a more casual and intimate ambiance. Don't know how to pull it off? 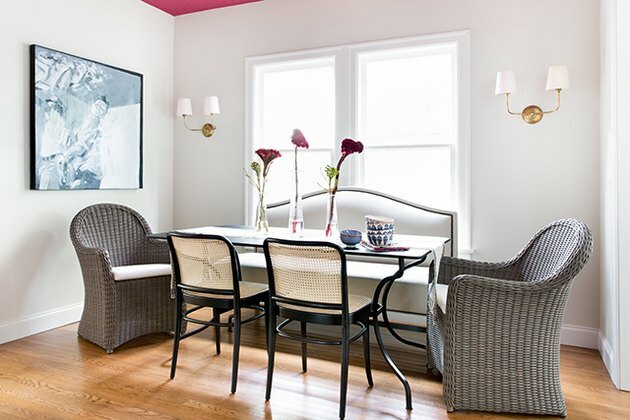 We rounded up 15 different faux nooks that will show you how it's done. Click ahead to get decorating. 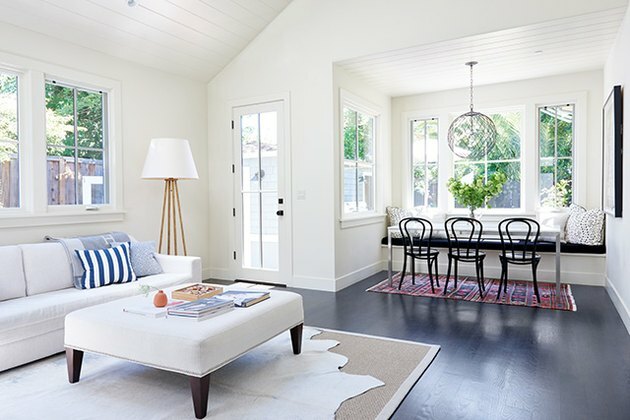 Place a loveseat against a window to get that cozy nook lighting without having to do a reno. 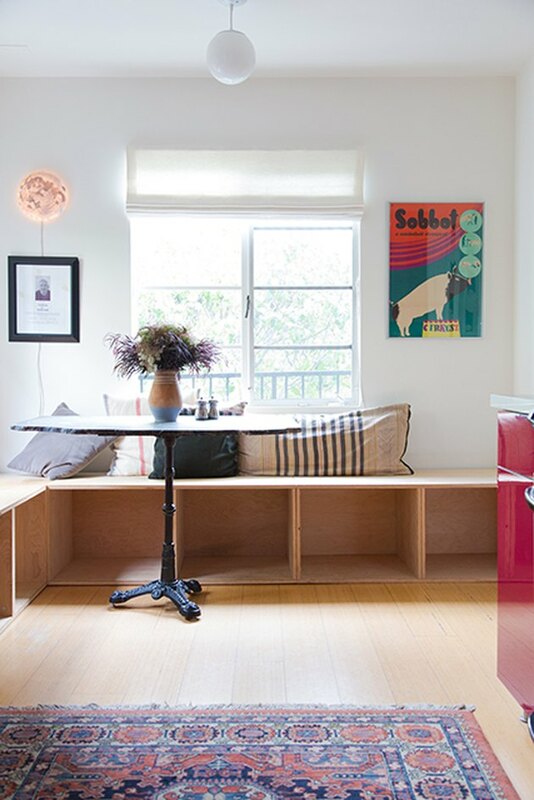 If there is a recess in your wall, try finding a bench or sofa that can perfect fit into the space. Even if you want a round table, we still think a traditional sofa is a lovely pairing. 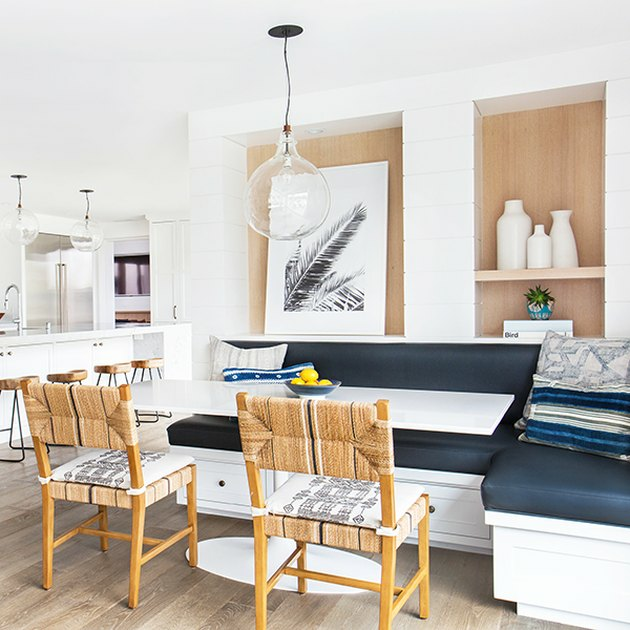 This blend between a breakfast nook and kitchen island is still a great design feat. 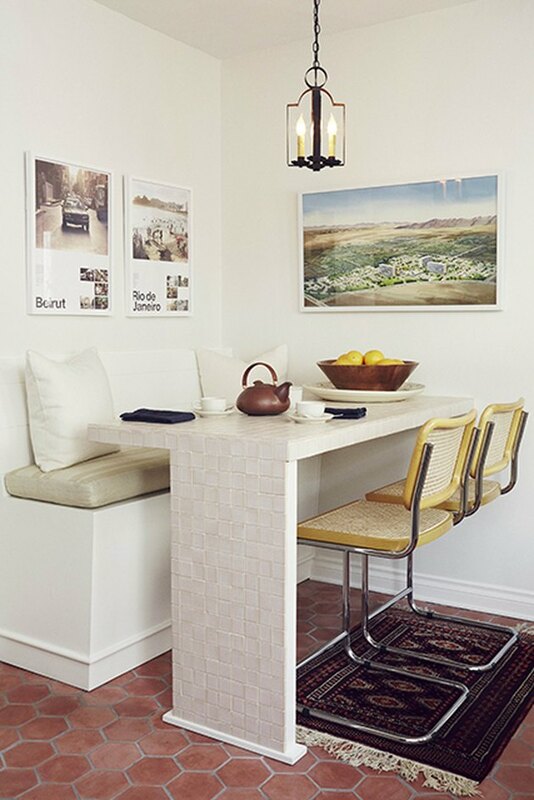 Placing a table against the wall is not only a great small space solution, but it also creates a nice nook-like intimacy in your home. Hack a bench with a bunch of storage boxes to create a nice seating area (that you can also stow items in!). 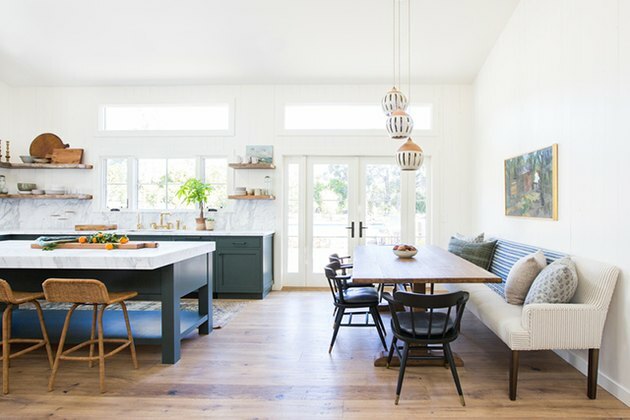 Even if you have a long dining table, placing it in the kitchen with a bench or couch will still give you breakfast nook vibes. It's also perfect for a larger family. Have a window seat? Just pull up a table and your nook will be fully formed. Love a retro diner booth? Stick a more modern version in a corner for a ready-to-go dining area. 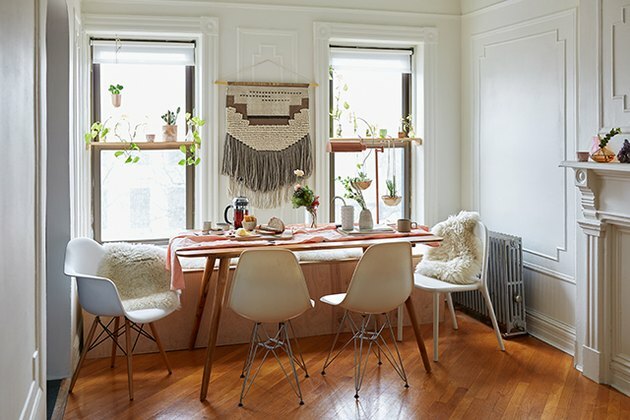 While this table might not look like your typical breakfast nook, adding in one larger chair or bench helps it channel those vibes. 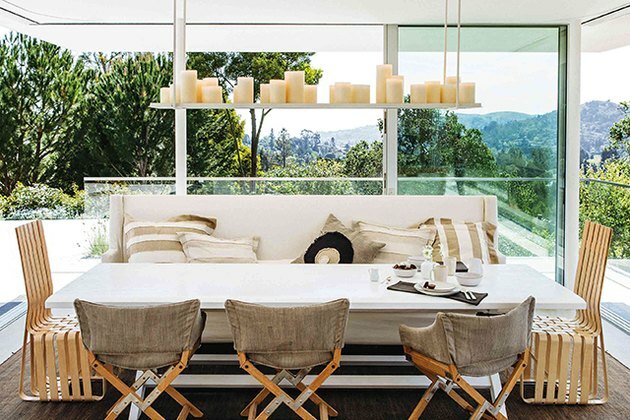 With wall-to-wall windows, this dining area definitely could double as a breakfast nook in our books. 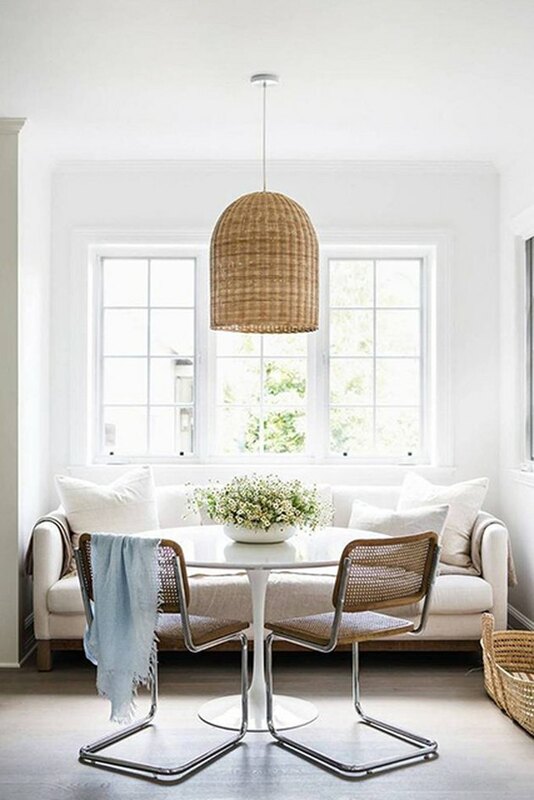 Placing in a table, pendant, and chairs is all that was needed to make this window seat into a beautiful light-filled nook. 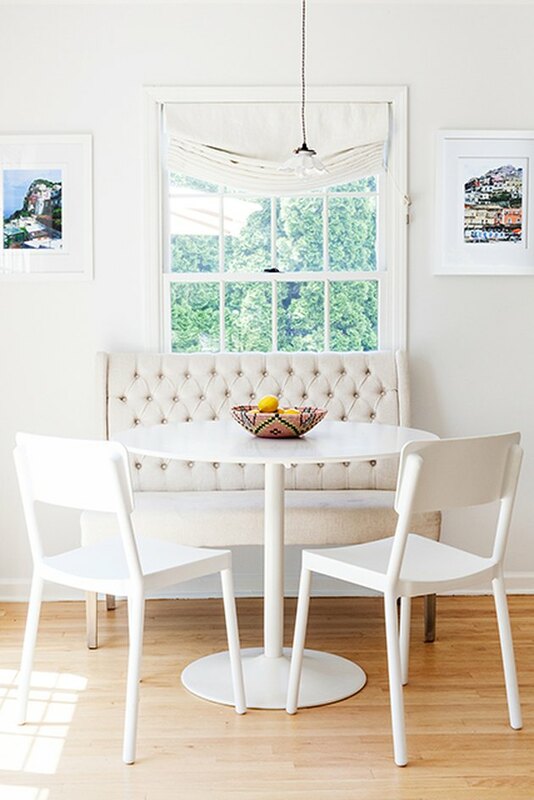 When you don't need a huge amount of seating, adding a few cozy chairs next to a window is an easy way to make dining feel more intimate. 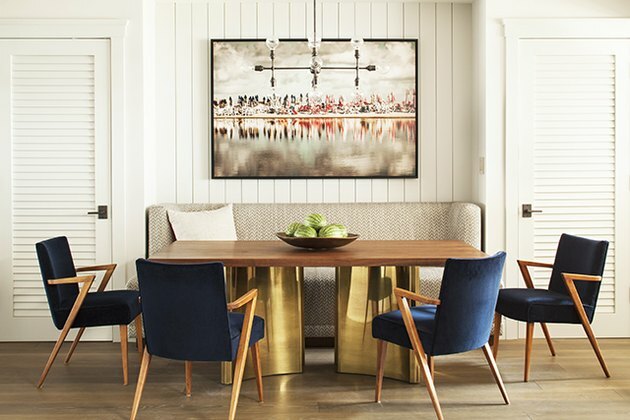 Be sure to take measurements so your dining bench can mirror your window length. If you really want to commit to making a nook, try finding or even designing benches that truly blend in with the architecture.